Nabitunich i San Ignacio, Belize: Bestill nå! 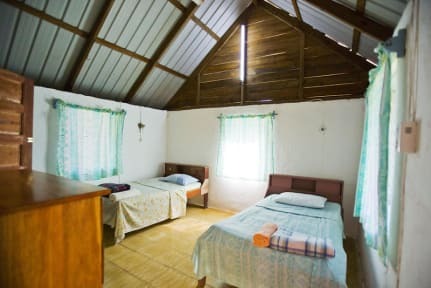 Nabitunich (Mayan for ‘The Stone Cottage’) is a series of accommodations for visitors in Belize. 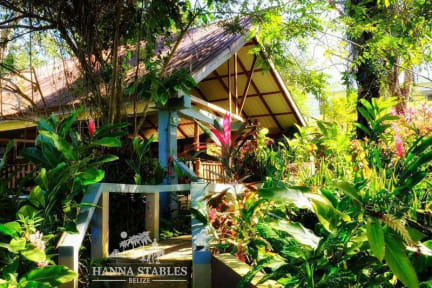 There are a series of 10 unique and comfortable cottages, each with two bedrooms that can accommodate single travelers or groups. There is also a large dining area and veranda, as well as an enclosed indoor studio and large yard spaces. The property surrounding the Nabitunich cottages is a working farm with domestic cattle and horses, as well as beautiful wild birds and a host of organic fruits and vegetables. We also offer daily horseback riding excursions around the farm property and to nearby Mayan ruins including Xunantunich.